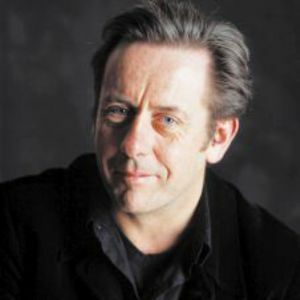 Luka Bloom (born 23 May 1955 as Barry Moore) is an accomplished Irish folk-rock singer-songwriter. He is also the younger brother of Irish folk singer Christy Moore. In order to avoid the pressure of being related to Christy Moore, Bloom adopted his pseudonym. "Luka" is taken from the title of Suzanne Vega's song "Luka" about child abuse and "Bloom" refers to the main character in James Joyce's Ulysses. Bloom is, however, very forthcoming about being Moore's brother and does not hide behind his stage name. In order to avoid the pressure of being related to Christy Moore, Bloom adopted his pseudonym. "Luka" is taken from the title of Suzanne Vega's song "Luka" about child abuse and "Bloom" refers to the main character in James Joyce's Ulysses. Bloom is, however, very forthcoming about being Moore's brother and does not hide behind his stage name. Luka Bloom's style of guitar playing is very distinctive and is generally referred to as "electro-acoustic". In his early career as Barry Moore, Bloom used a fingerpicking style. However, tendonitis in his hands forced him to adopt a strumming style which is the one he still uses and is often credited with his success. He toured America frequently through the Nineties, although his contemporary touring schedules take him mostly to Europe. He remarked during his 2006 US tour that he has grown fond of playing in Eastern Europe, "now that I don't need a work visa." His early albums showcased his frenetic strumming style, including "Delirious" the debut track on Riverside, and his penchant for thoughtful cover songs, an affinity that he maintains even in more recent work. Released in 2000, Keeper of the Flame was an album of cover versions, featuring renditions of ABBA's Dancing Queen, Bob Marley's Natural Mystic and the Hunters and Collectors' Throw Your Arms Around Me among others. Bloom had previously covered LL Cool J's I Need Love and Elvis Presley's Can't Help Falling In Love on the album The Acoustic Motorbike. Bloom is often heard to remark in concert about Natural Mystic that "...there are considerable similarities between Jamaicans and Irishmen". Bloom's 2004 acoustic mini-album, Before Sleep Comes, was recorded while Bloom was recovering from tendonitis. Bloom stated the purpose of the album was "to help bring you closer to sleep, our sometimes elusive night-friend." Bloom released his most recent album Innocence in 2005. Many of the songs feature a new found interest in Eastern European gypsy music and othe World music. In his previous work, he relied on steel-stringed guitars that created his distinctive style. His aubergine and yellow guitars were often introduced by name at gigs. The most recent album features a more classical guitar and the resonant plucking associated with that style of instrument.